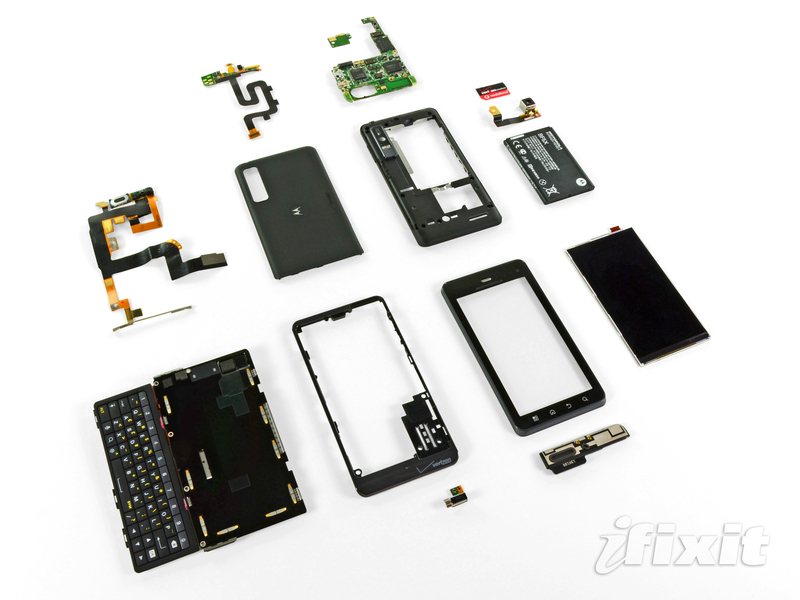 The iFixit crew took to the DROID3 as they do any new device that has built up buzz and tore the sucker down. There weren’t any surprises tucked away, but we do get to see its set of radios for global roaming, dual-core OMAP4430 processor, on-board stoarge, 512MB of RAM, 4 inches of Gorilla Glass, and that pretty new 5-row keyboard. Yep, standard stuff. We do want to point out their note about this phone being pretty tough to get into all the way. What does that mean? That you definitely don’t want to drop it, crack the screen, and try to repair it yourself. Good luck!